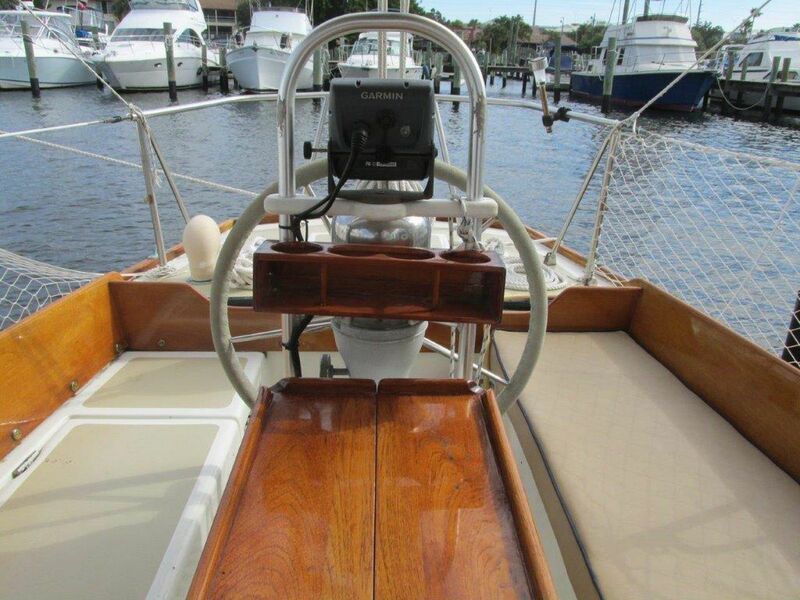 George Eberhard has owned and operated sail and power boats for over 35 years. 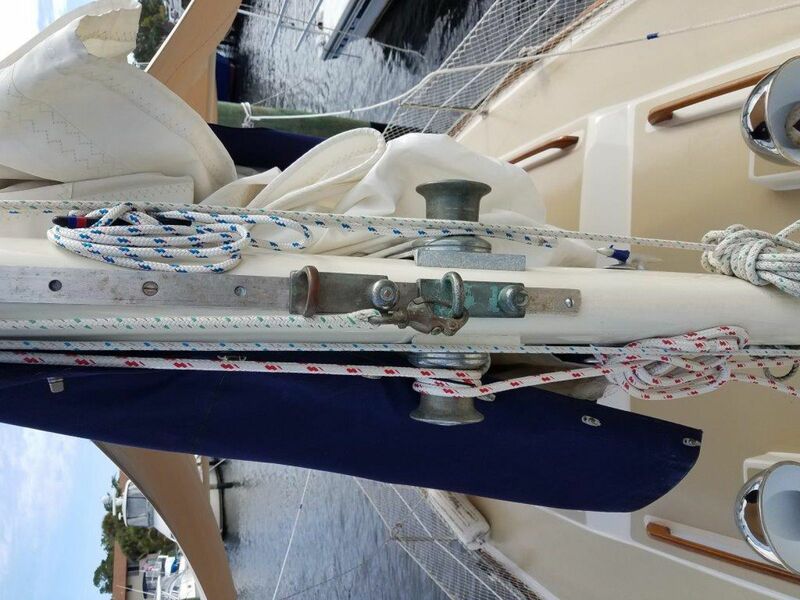 From club racing in the Midwest, to sailing the Great Lakes, to charter boat captain in the Caribbean, his passion for boating is very evident in the enthusiasm he brings to his brokerage career. 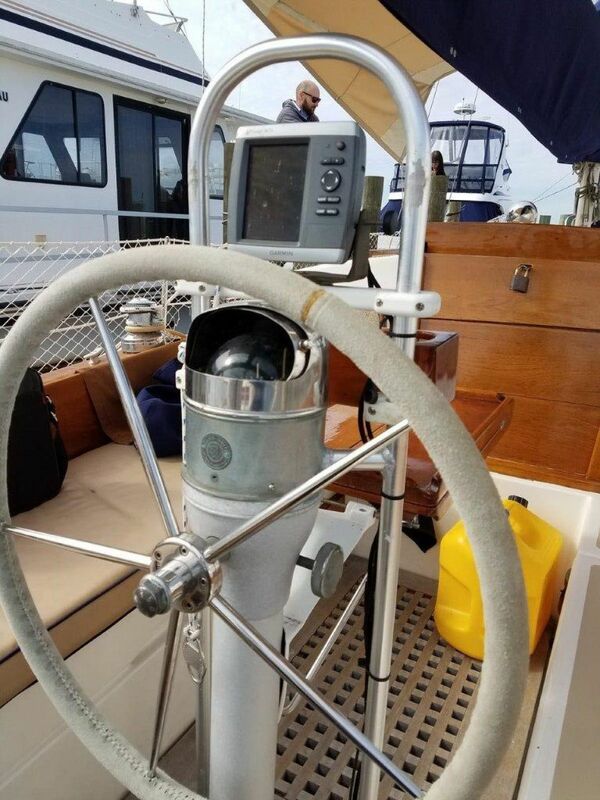 Prior to his joining David Walters Yachts, George had a very successful career in Advertising and Marketing where he was responsible for client development and new product design. 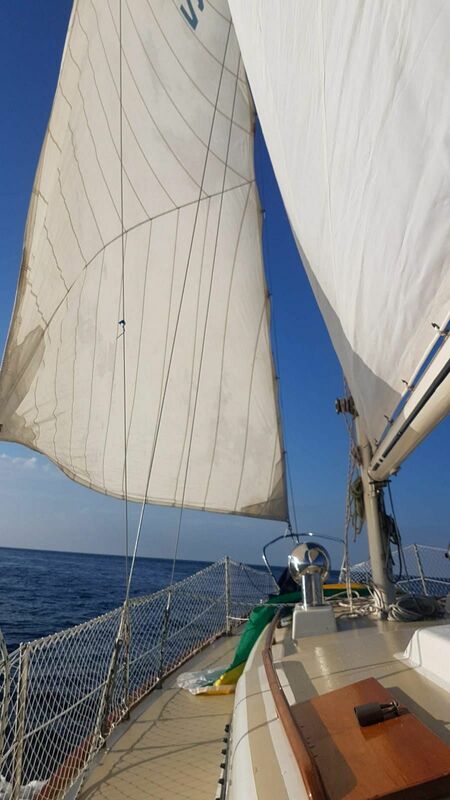 As a professional yacht broker, George is especially attentive to client needs and expectations. One of his specialties is the extra time he spends with each client to better understand their needs. His thorough research enables him to suggest options to consider, and point out value where it exists. 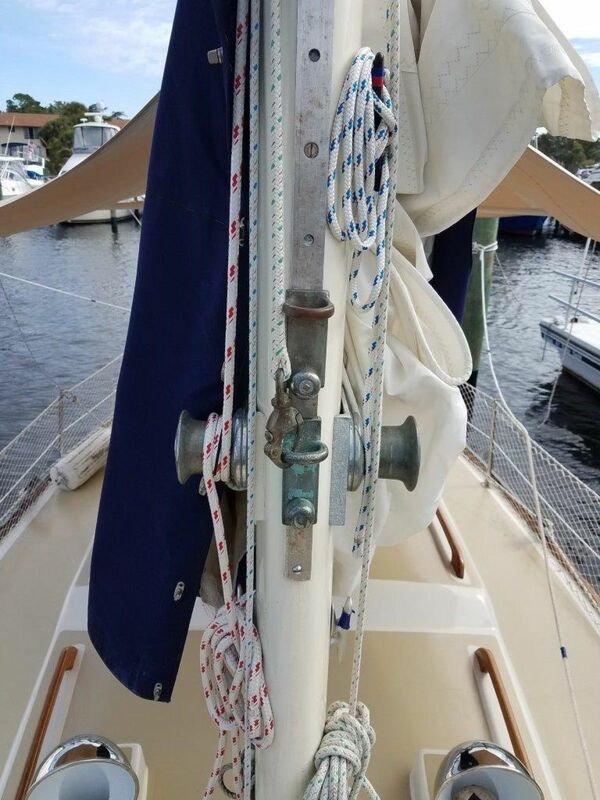 George's dedication and persistence allow him to help clients find just the right sail or power yacht. New listing, owner very motivated, looking for offers! The Allied Boat Company established its building site on Catskill Creek in Catskill, N.Y., 100 miles north of New York City. Just off the Hudson River, it was an ideal place from which to build and launch boats. For the company's entire time in business, from 1962 to 1981, it remained at this location. 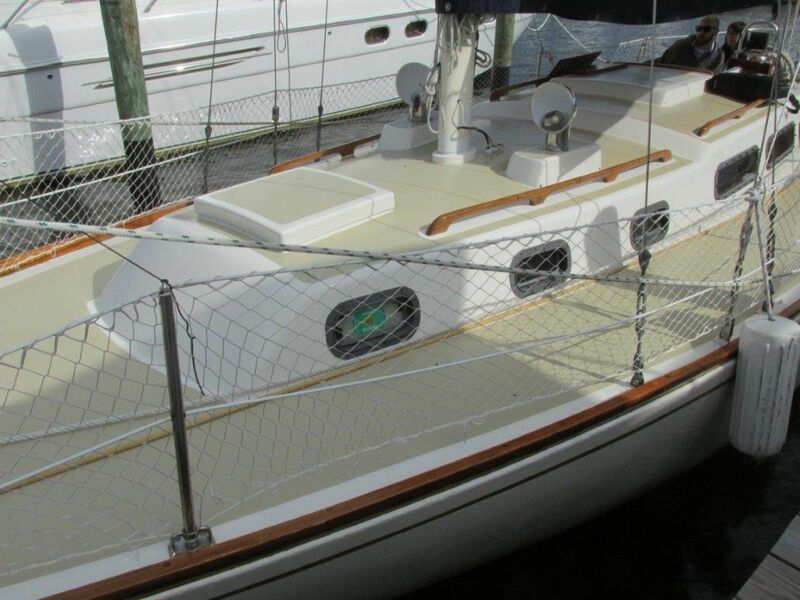 The SEABREEZE 35 was the second yacht built by Allied Boat Company. 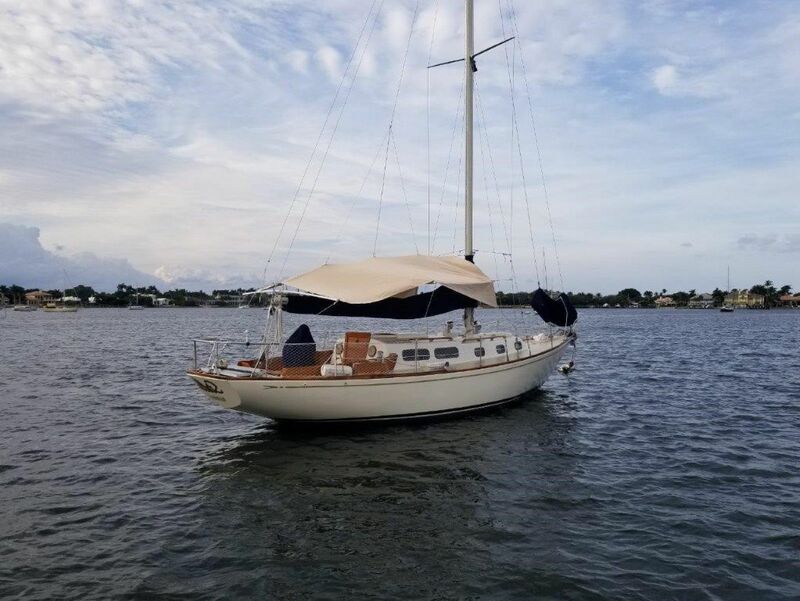 It was available as a sloop or yawl. 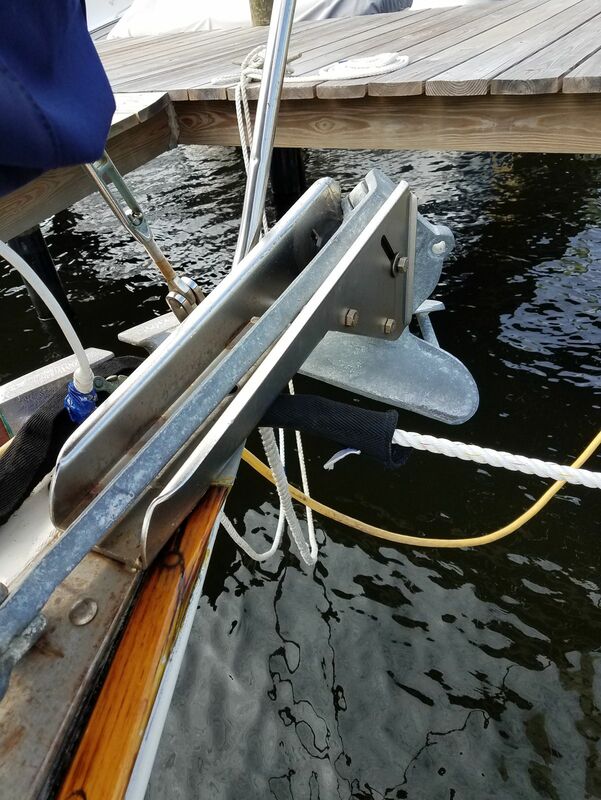 Boats before 1967 have bronze centerboards after that they were aluminum. 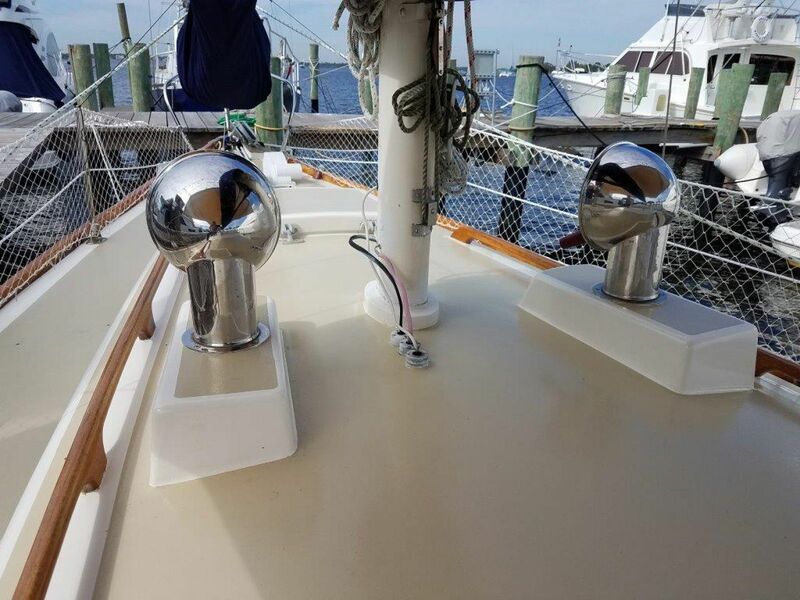 Allied built a high quality strong boat and many consider the Seabreeze one of the most attractive boats on the water. 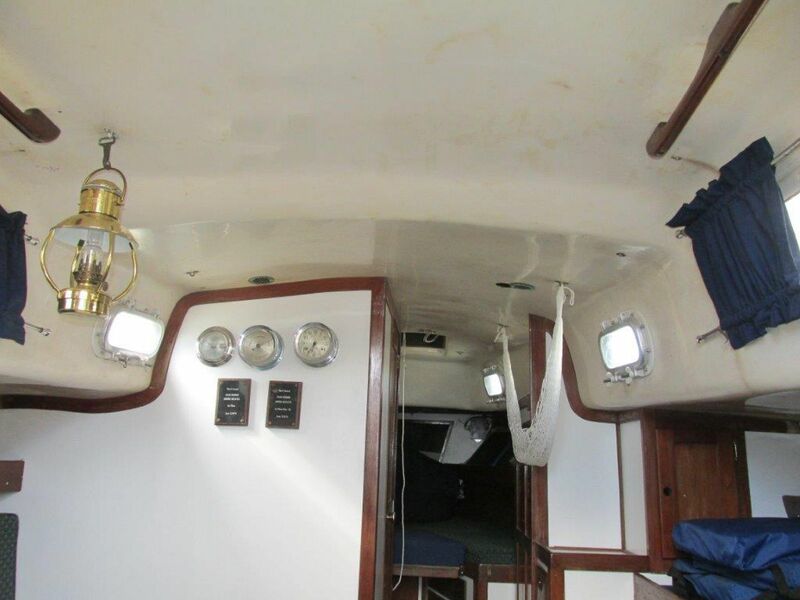 The interior of STELLA has a typical layout for boats of this era and size. 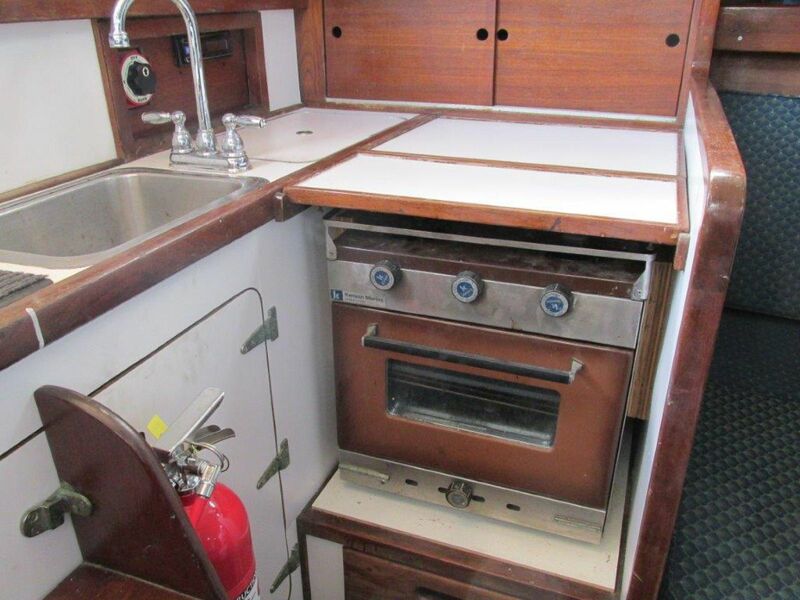 Her galley is immediately to port when entering through the companionway. 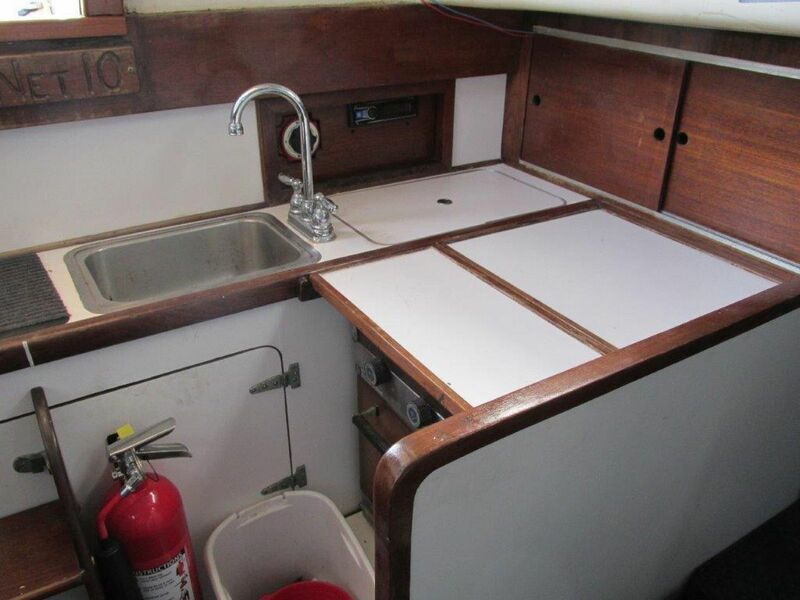 Large sink, newer faucet, 3 burner alcohol stove, cook top and ice box with ample storage cabinets outboard and dry storage under counter top. 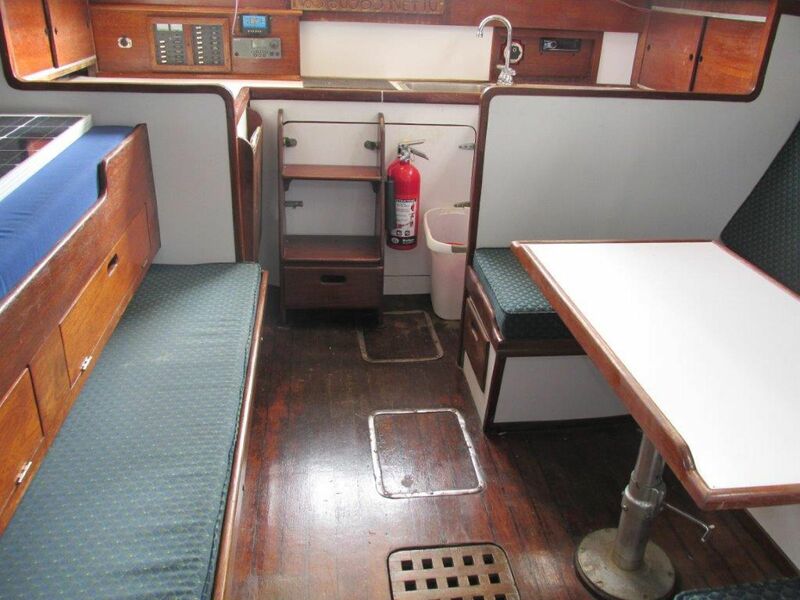 Just forward of the galley to starboard is a settee and a pilot berth above and outboard. The settee slides out to make a larger berth. Storage shelving further outboard. To port is the adjustable salon table with wrap around seating. 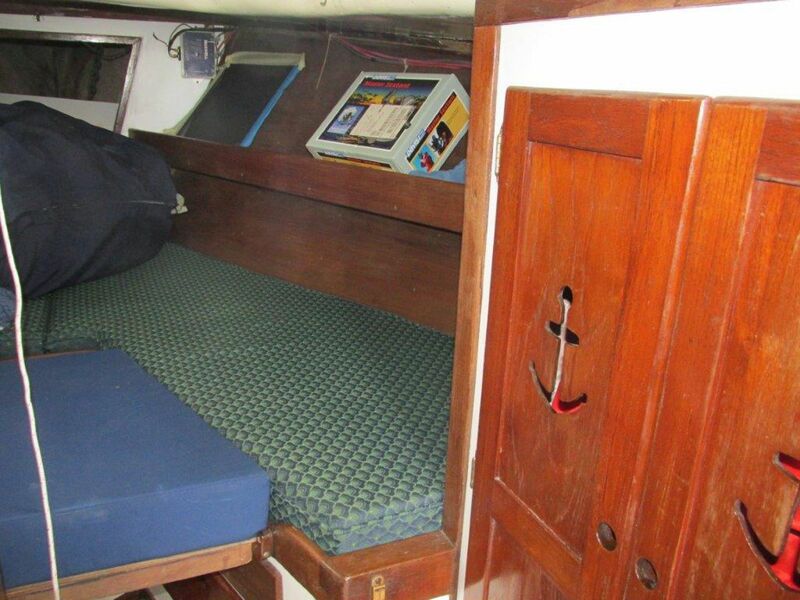 This table lowers to form a double berth. Ample shelving above and outboard of the table seating. 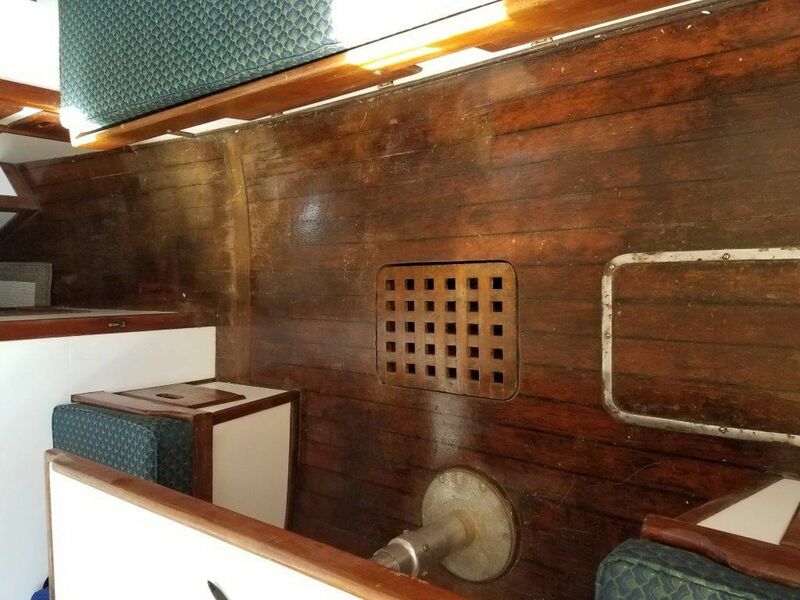 A large hanging locker forward to starboard. Forward of the salon to port is the head. 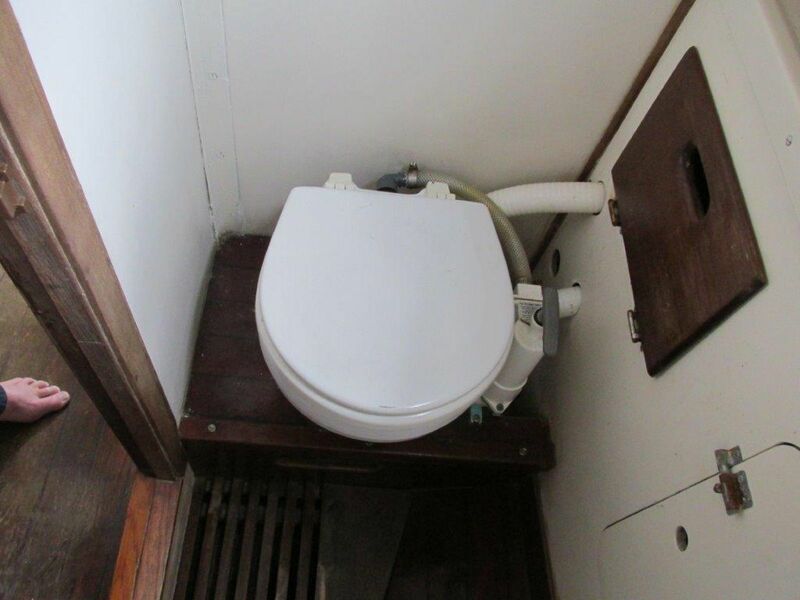 The V berth is forward with shelving outboard to port and starboard and drawers under berth. 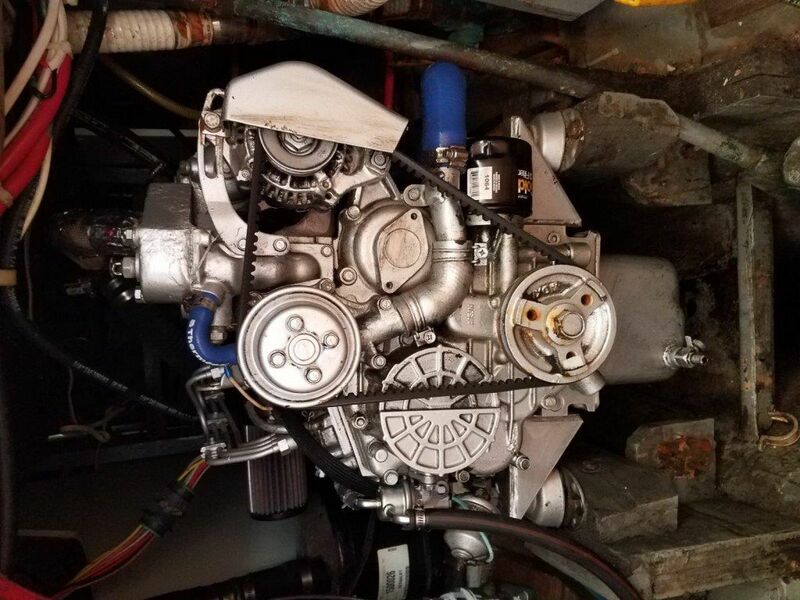 Phasor Marine/ Kubota engine V 1305 Unknown no meter but seller has only put 200 hrs on her and previous owner unknown. Looks very new. ZF Industries Hurth transmission 1.79 - 1. 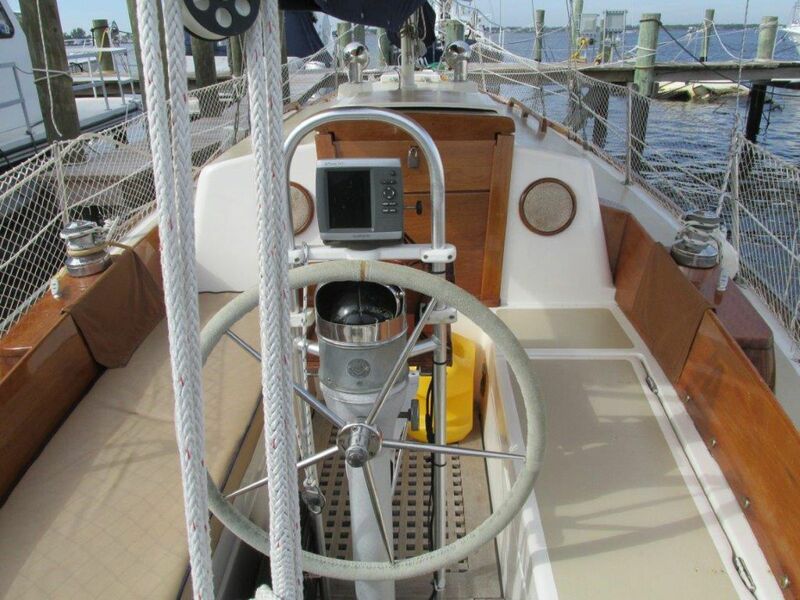 STELLA is a updated Allied Seabreeze with an emphasis on mechanical upgrade and sailing equipment. Her interior could use a little TLC. 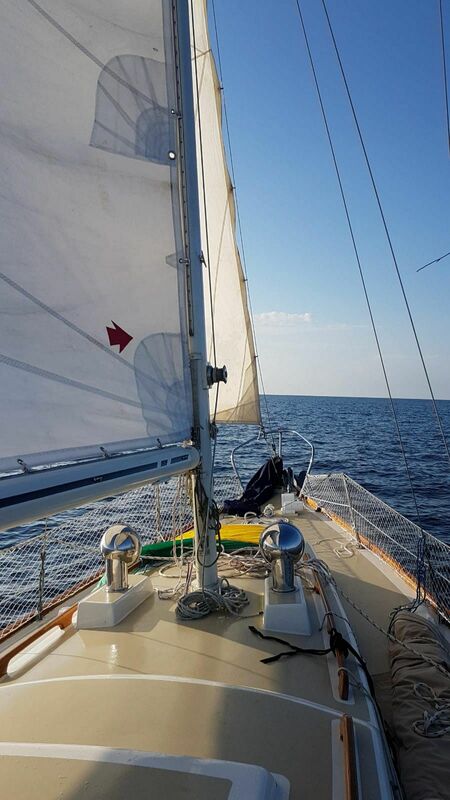 She has a strong design with newer engine, good sails and updated rig. 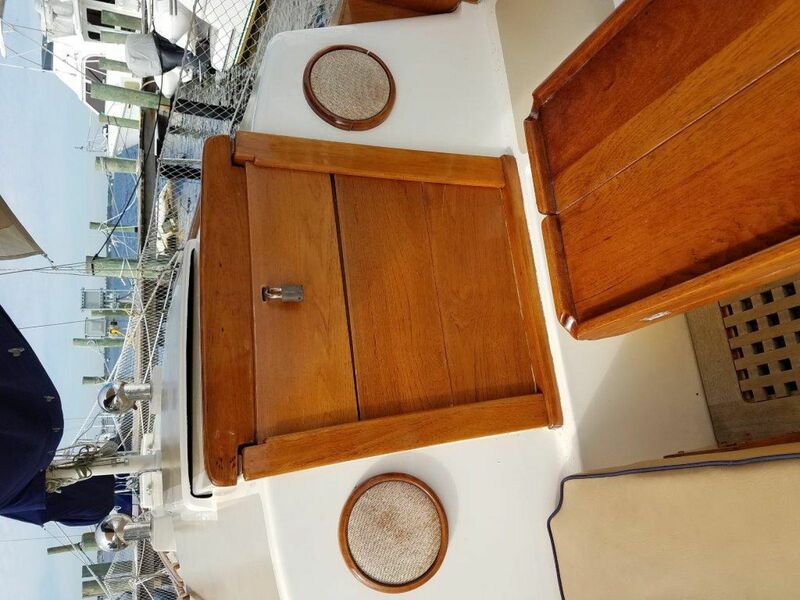 Her exterior is outstanding with recent deck painting and varnish to date. 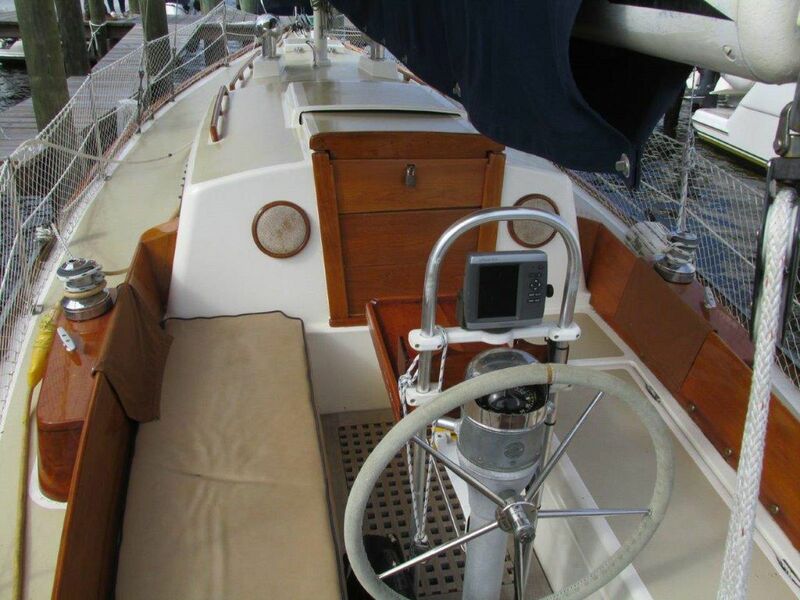 If you are looking for a classic sailing vessel and a good value STELLA should be on your list. Seller motivated and looking for offers.